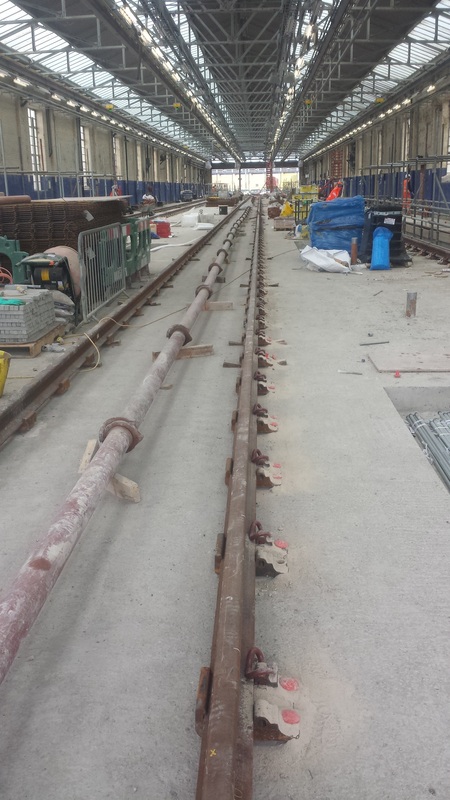 Clancy Docwra commissioned Castle and Pryor to drill over 1500 holes for the replacement of new rail track in the Ruislip TFL (Transport for London) depot. The concrete floor and rail track had been removed and reinforced concrete floor had been replaced. Choosing a combined percussive rotary and hand held diamond drilling methodology to drill by hand allowed the operatives to quickly drill holes without the need to use a stand. 'We selected Castle and Pryor as they are a highly experienced and well certified diamond drilling company, the work they completed was of the highest standard, their operatives were professional, friendly, organised and well supervised by Allan Fennell, who was a pleasure to liaise with. They were easy to work with and delivered the project on time and I have no hesitation in using Castle and Pryor again and highly recommend them to other construction companies' Richard Taylor, Senior Quantity Surveyor, Clancy Docwra Group Ltd. Check Out the Full Story at here.